To-date I have not been too excited about HP's Moonshot system, I've been far more interested in AMD's Seamicro. 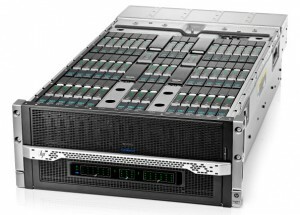 However HP has now launched a Moonshot based solution that does look very innovative and interesting. HP Moonshot: VDI Edition (otherwise known as HP ConvergedSystem 100 for hosted desktops) takes advantage of (semi ironically enough) AMD APUs which combine CPU+GPU in a single chip and allows you to host up to 180 users in a 4.3U system each with their own dedicated CPU and GPU! The GPU being the key thing here, that is an area where most VDI has fallen far short. Everything as you might imagine is self contained within the Moonshot chassis, there is no external storage. That sounds luxurious! I'd be really interested to see how this solution stacks up against competing VDI solutions. They claim you can be up and going in as little as two hours -- with no hypervisor. This is bare metal. You probably get superior availability as well given there are 45 different cartridges in the chassis, if one fails you lose only four desktops. The operational advantages(on paper at least) for something like this seem quite compelling. I swear it seems a day doesn't go by when a SSD storage vendor touts their VDI cost savings etc (and they never seem to mention things like, you know servers, LICENSING, GPUs, etc etc - really annoys me). VDI is not an area I have expertise in but I found this solution very interesting, and it seems like it is VERY dense at the same time. HP doesn't seem to get specific on power usage other than you save a lot vs desktop systems. The APUs themselves seem to be rated at 15W/ea on the specs, which implies a minimum power usage of 2,700W. Though it seems each power supply in the Moonshot has a rated steady-rate power output of 653W, with four of those that is 2,600W for the whole chassis, though HP says the Moonshot supports only 1200W PSUs, so it's sort of confusing. The HP Power Advisor has no data for this module. It wouldn't surprise me if the power usage was higher than a typical VDI system, but given the target workload(and the capabilities offered) it still sounds like a very compelling solution. 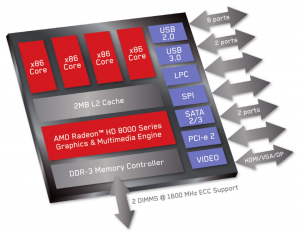 Obviously the question is might AMD one-up HP at their own game given that AMD owns both these APUs and SeaMico, and if so might that upset HP? 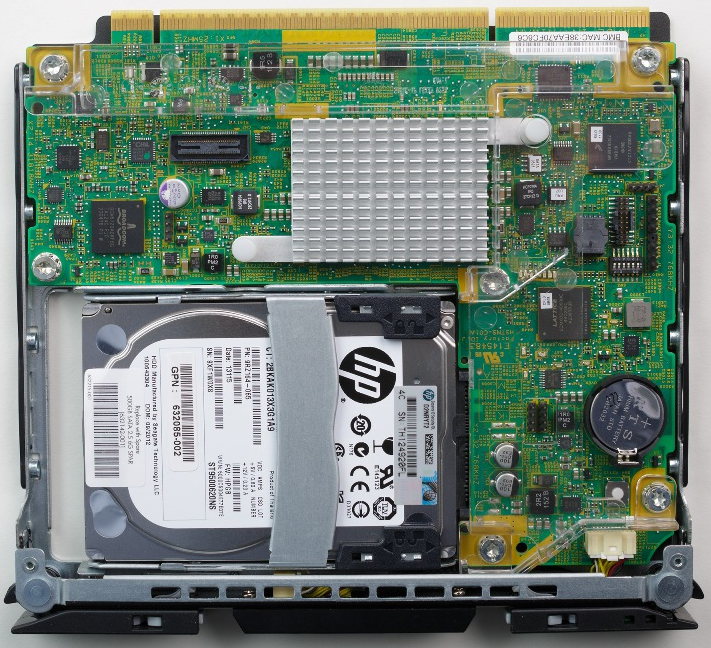 HP launched Moonshot a few months ago, I wrote at the time I wasn't overly impressed. At the Nth Symposium there were several different HP speakers that touched on Moonshot. HP has been blasting the TV airwaves with Moonshot ads - something that I think is a waste of money - just as much as it would be if HP were blasting the TV with 3PAR ads. Moonshot obviously is a special type of system- and those in that target market will obviously (to me anyway) know about it. Perhaps it's more of an ad to show HP is innovating still, in which case it's pretty decent (not as good as the IBM Linux commercials from years back though!). Sure it is cute, the form factor certainly grabs your eye. 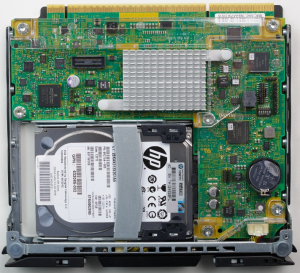 Micro servers are nothing new though, HP is just the latest entrant into the market. I immediately got into tech mode and wanted to know how it measured up to AMD's Seamicro platform. In my original post I detail several places where I feel Moonshot falls short of Seamicro which has been out for years. Seamicro Node for Intel Atom processors - Note no storage! 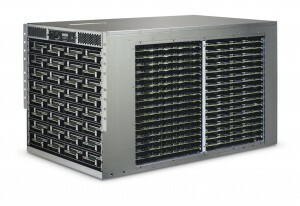 All of that is centralized in the chassis, virtualized so that it is very flexible. HP touts this as a shift in the way of thinking - going from building apps around the servers to building servers around the apps (while they sort of forgot to mention we've been building servers around the apps in the form of VMs for many years now). I had not heard of the approach described like that until last week, it is an interesting description. HP was great in being honest about who should use this system - they gave a few different use cases, but they were pretty adamant that Moonshot is not going to take over the world, it's not going to invade every SMB and replace your x86 systems with ARM or whatever. It's a purpose built system for specific applications. There is only one Moonshot node today, in the future there will be others, each targeted at a specific application. Certainly very impressive numbers. If I had an application that was suitable for Moonshot then I'd certainly check it out. One of the days that I was there I managed to get myself over to the HP Moonshot booth and ask the technical person there some questions. I don't know what his role was, but he certainly seemed well versed in the platform and qualified to answer my basic questions. My questions were mainly around comparing Moonshot to Seamicro - specifically the storage virtualization layers and networking as well. His answers were about what I expected. They don't support that kind of thing, and there's no immediate plans to. Myself, I think the concept of being able to export read-only file system(s) from central SSD-storage to dozens to hundreds of nodes within the Seamicro platform a pretty cool idea. The storage virtualization sounds very flexible and optionally extends well beyond the Seamicro chassis up to ~1,400 drives. Same for networking, Moonshot is pretty basic stuff. (At one point Seamicro advertised integrated load balancing but I don't see that now). The HP person said Moonshot is aimed squarely at web applications, scale out etc.. Future modules may be aimed at memcache nodes, or other things.. 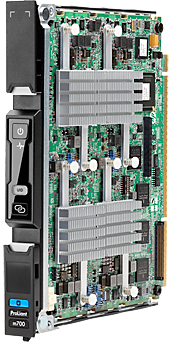 There will also be a storage module as well(I forget specifics but it was nothing too exciting). 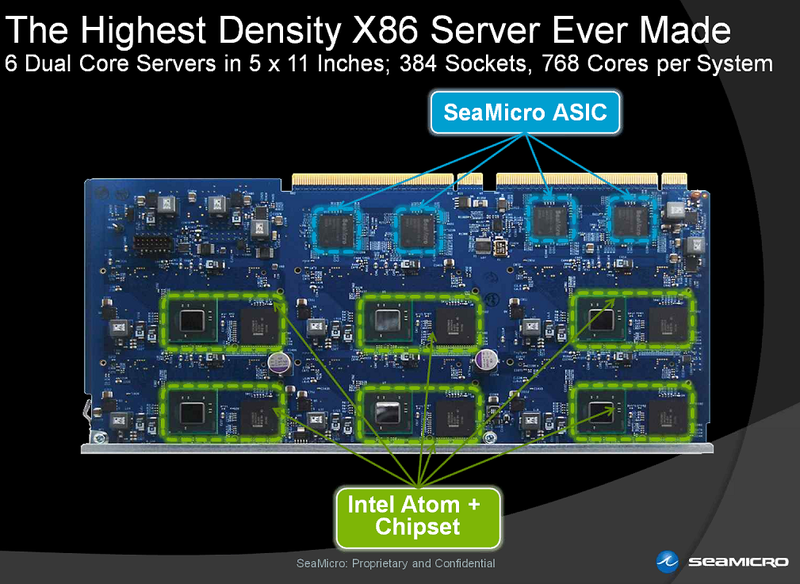 I believe the HP rep also mentioned how they were going to offer units with multiple servers on a single board (Seamicro has done this for a while as well). Not to say Moonshot is a bad system, I'm sure HP will do pretty well with them, but I find it hard to get overly excited about it when Seamicro seems to be years ahead of Moonshot already. Apparently Moonshot was in HP Labs for a decade, and it wasn't until one of the recent CEOs(I think a couple of years ago) came around to HP Labs and said something like "What do you have that I can sell?" and the masterminds responded "We have Moonshot! ", and it took them a bit of time to productize it.